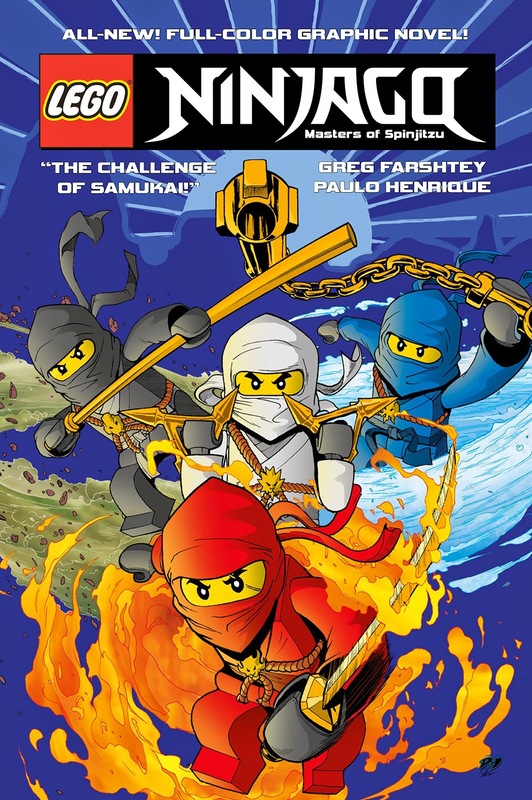 On 17th October (today) Titan Magazines will launch a children's LEGO Ninjago Graphic Novel series with volume 1: The Challenge Of Samukai and Volume 2: The Mask Of The Sensei available immediately in book shops or online. With around 64 full colour pages of comic strip and character art, and priced at £3.99 each, they are perfect for my 6 year old and his early independent reading. 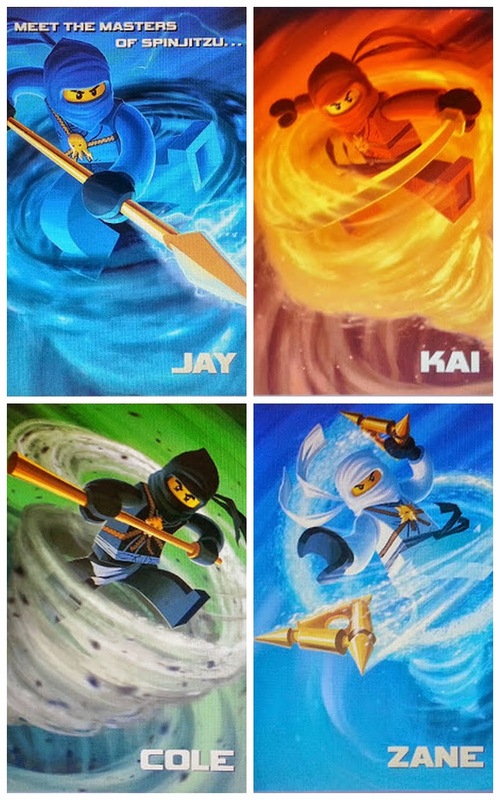 The graphic novels feature Sensei Wu and his Masters of Spinjitsu - Cole, Jay, Zane and Kai, and maybe a few bad guys. ....and we've been lucky enough to get a sneak digital preview of the first novel. 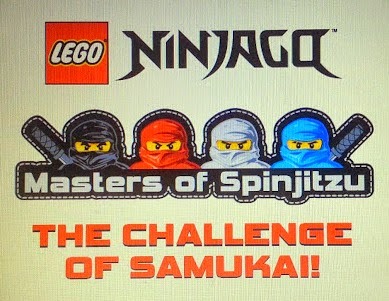 Volume 1- The Challenge Of Samukai tells what happens when Samukai boasts he can beat Sensei Wu and the Masters Of Spinjitsu, and Garmadon takes him up on the bet. Graphic Novels are great for children who are just learning to read by themselves, reluctant readers, or just for people who like artwork, and these are beautifully drawn with plenty of action in the images and the familiar characters from the Cartoon Network show. The stories are quite long and the language used isn't easy, but the text is spread out in really short snippets, and the focus is on the artwork, so it's not too intimidating for early readers and even my 4 year old can appreciate the storyline without reading at all. The boys loved it, although the 6 year old is disappointed at the lack of dragons in this volume. 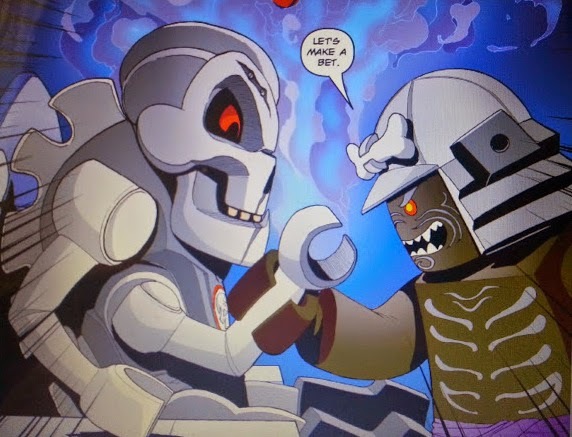 They are familiar TV characters and characters that the boys use when they're playing with LEGO, and I think adding in this extra element is a great move. As a 64 page book £3.99 is great value, and I'd far rather buy them this than spend £3 on a magazine they'll only read once or twice. 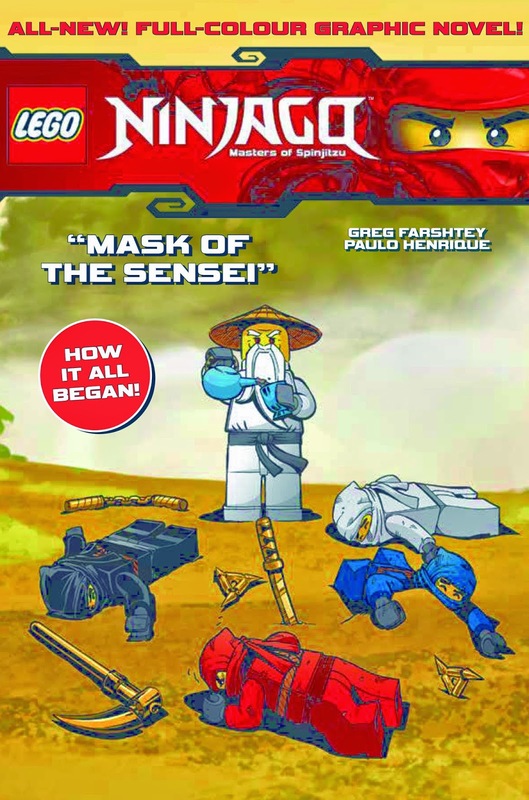 Volume 2 - Mask Of The Sensei will see the poor Masters Of Spinjitsu up against their old Master Sensei Wu. 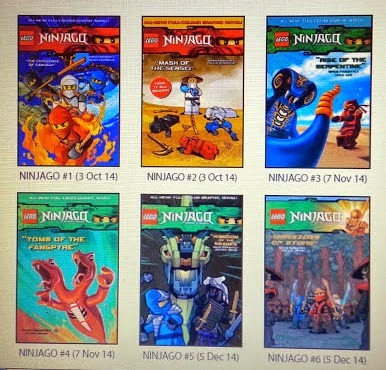 It promises to tell the story of how it all began, a backstory that's been referred to since Ninjago launched, but never fully told, and who doesn't love a good backstory? New volumes will be released each month and they'll be available at all good bookshops, or online at Titan Comics. My apologies for the shocking photography but my print screen button is on strike.